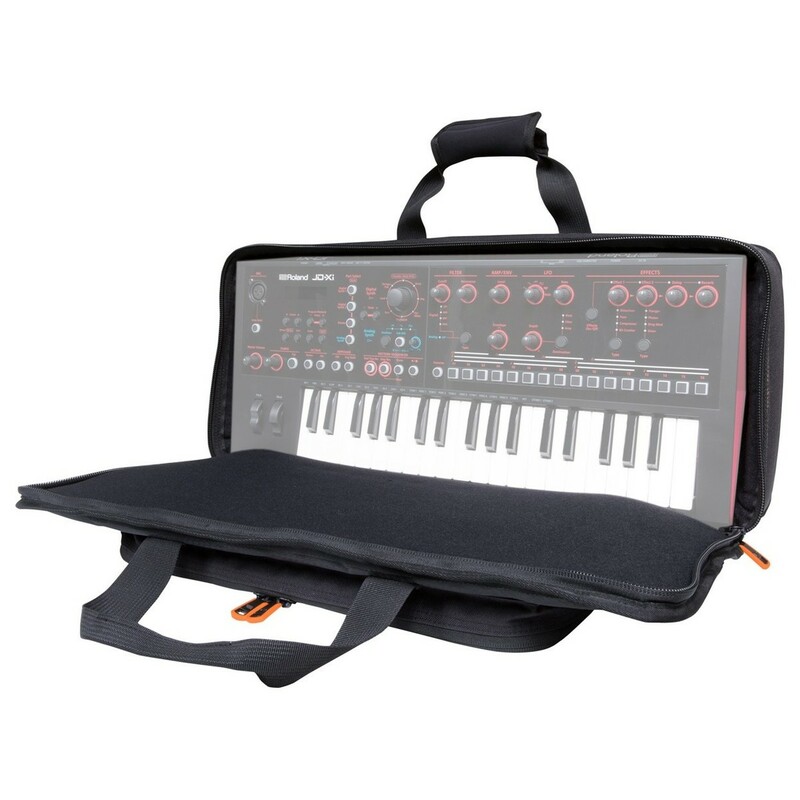 The Roland Black Series JD-Xi Bag is a highly durable carry bag designed to accommodate the Roland JD-Xi Synthesizer. The JD-Xi Bag is comprised of rugged exterior comprised of premium-grade durable materials for maximum protection. The interior of the bag features internal padding for added durability, protecting the synthesizer from bumps while on the move. It also features shoulder straps to make carrying your JD-Xi a breeze. The integrated shoulder straps and padded carry handle allows you to transport your equipment with ease. 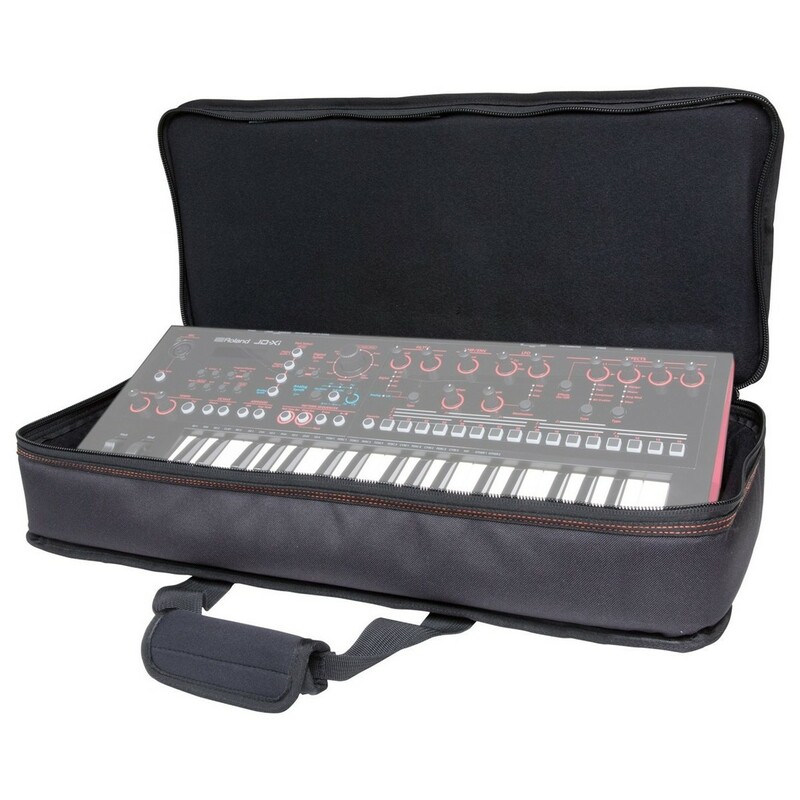 The bag features a black and red colour scheme to match that of the synthesizer. The JD-Xi Bag from Roland’s Black Series combines a sleek and portable bag with superior protection. The JD-Xi Bag features a fleece interior with thick foam padding, helping to combat against bumps and other superficial damage while on the move. The bag itself is comprised of 600D polyester and ripstop nylon, resulting in an ultra-durable exterior and interior. 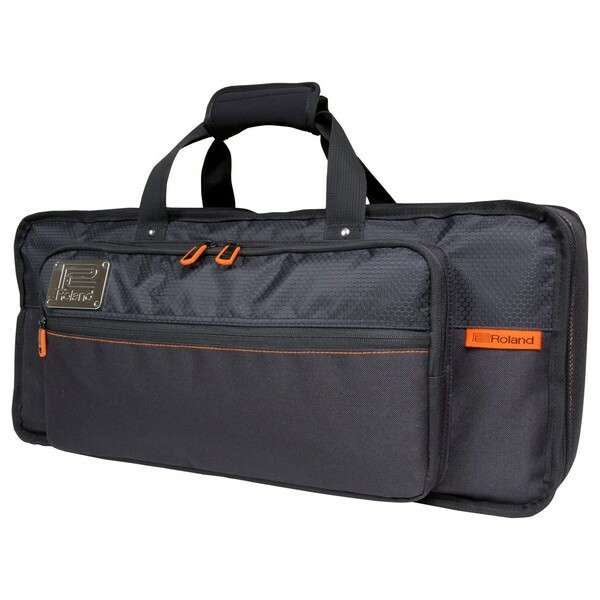 The bag features dual accessory pockets on the side for storing peripherals such as power supplies, the gooseneck microphone, cables and more. The bag features a padded, reinforced handle for maximum comfort while on the move, as well as additional straps for wearing the bag over your shoulder.